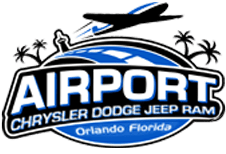 When you are searching for a new Chrysler, Dodge, Jeep, or Ram vehicle near Orlando, Kissimmee, and Winter Park, FL, Airport CDJR should be your top choice. Why? Well, we stock an extensive selection of new Chrysler, Dodge, Jeep, and Rams that spans the full lineup of each automaker. What's even better that we offer highly competitive pricing on all of our new vehicles! From a sleek and sophisticated Chrysler 300 or a sporty Dodge Charger to an off-road ready Jeep Cherokee or a rugged Ram 1500 pickup, they are all here in strong supply. Shop our new Chrysler, Dodge, Jeep, and Ram inventory now to find your next vehicle at a great price! 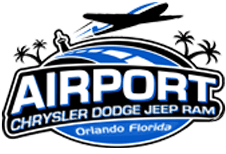 Whether you shop our online inventory first or visit our Orlando, FL dealership to explore our selection of new vehicles in-person, you will find that Airport CDJR offers an extensive collection of new vehicles at competitive prices. With four top automakers well-represented here, we have the new car, SUVs, minivan, and pickup truck models to suit any lifestyle and budget. Our Sales Department is staffed by auto sales specialists who are knowledgeable in every new vehicle model that we sell, so if you need some assistance narrowing down your numerous options, speak with a member of our sales team. Chrysler stands for luxury and refinement at a value price, and that is what you will get when you drive a new Chrysler 200 or 300 sedan, or a new Chrysler Pacifica -- the minivan that is setting a new standard for its class. Dodge's sporty and powerful lineup of cars, crossovers, and SUVs are here in strong supply, from the agile Dodge Dart and muscle car inspired Charger and Challenger to the highly versatile Journey and Durango models. Jeep is one of those iconic American brands that never goes out of style, and with a bold lineup like the Wrangler, Cherokee, Grand Cherokee, and Renegade, drivers continue to choose Jeeps over the less off-road savvy competition. No matter if you are planning to put your new vehicle to work at the job site or just on weekend projects, the new Ram 1500 and 2500 pickup trucks are up to the task! If you have any questions about our full lineup of Chrysler, Dodge, Jeep, and Ram vehicles, call or visit our Sales Department to speak with a member of our dedicated sales team. Much is made of the impressive new car lineups from the likes of Chrysler, Dodge, Jeep, and Ram, but let's not forget about the quality used vehicles available here at Airport CDJR! We not only carry a large selection of used cars, SUVs, and trucks from our four popular automakers but also from some other automakers. Certified Pre-owned vehicles from Chrysler, Dodge, Jeep, and Ram are also here in stock; these pristine late model and low mileage vehicles have passed a rigorous inspection by our expert service technicians and even come with an updated warranty package. Shop our used vehicle inventory now to locate your next vehicle at a price that is thousands below the new car price! Once you have found that Chrysler, Dodge, Jeep, or Ram vehicle that you can't do without, our finance experts are here to get you hassle-free auto loan at a low rate. So what are you waiting for? Get pre-approved now by submitting an online credit application; you'll find yourself behind the wheel of your new ride in no time! When your Chrysler, Dodge, Jeep, or Ram vehicle is in need of a little TLC in the form of routine maintenance or some other type of auto service, bring it to the CDJR auto service specialists at the Airport CDJR Service Center. Are you ready to schedule a service appointment for your current vehicle now? Then fill out our online schedule service form.